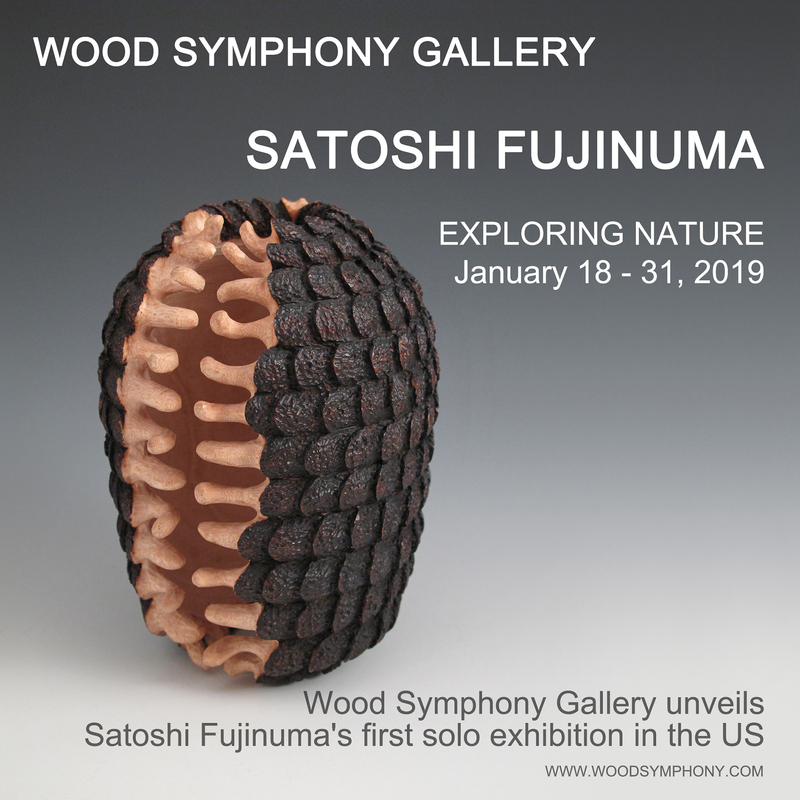 Wood Symphony Gallery is pleased unveil Satoshi Fujinuma's first solo exhibition in the U.S. curated by Larisa Safaryan. This exciting exhibition features over fifty pieces created by the artist in the past several years. Satoshi Fujinuma was born and raised in Tokyo. Fujinuma has a background in environmental chemistry and he is mostly a self-taught artist. Fujinuma's practice as a contemporary Japanese wood carver is grounded in bio-mimetic explorations of nature. The selected works are abstract sculptures of rebuilt fragments taken from memories of his experiences in nature, where he finds his inspiration. Most of Fujinuma's biomorphic sculptures are small in size that can fit in the palm of one's hand and be studied more closely from different angles. Each sculpture by Satoshi Fujinuma celebrates the infinite beauty of nature. The exhibition can view viewed on our website www.woodsymphony.com. For additional information or if you have any questions, please do not hesitate to send us an email at info@woodsymphony.com.